Lake Macquarie Police are seeking information from the public concerning the disappearance of Marlon McDonald. 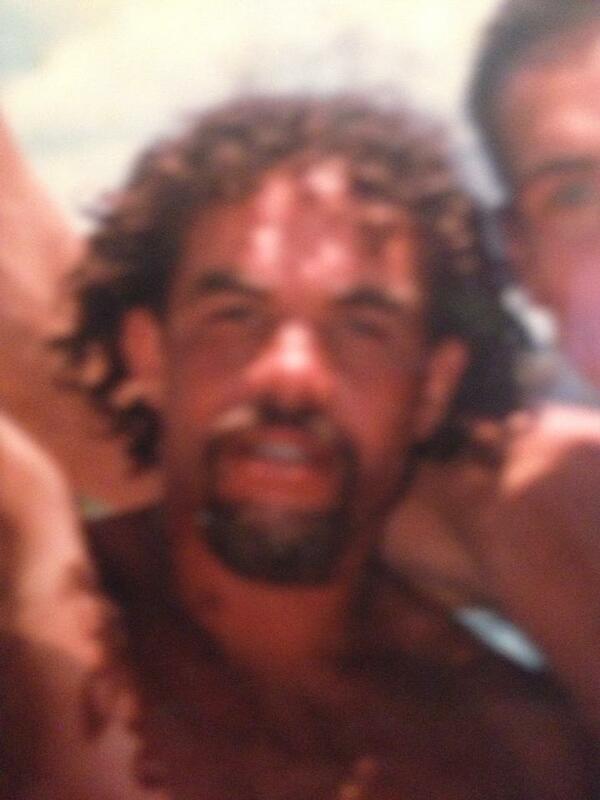 Marlon McDonald, born 16/02/1970, lived in Forster NSW most of his life. He was last seen in Broadmeadow on or about the 5th of September, 2012. National Missing Persons Week is being held from Sunday 2 August to Saturday 8 August 2015. If you suspect a friend or family member has gone missing, you don’t have to wait 24 hours to take action, ‘Follow Your Instincts’ and report the matter to police immediately. Marlon McDonald was reported missing by family members on the 1st of November, 2012. 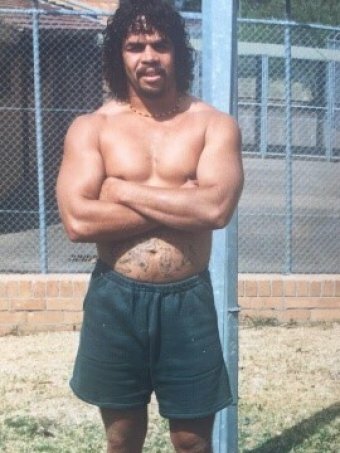 Marlon McDonald was known to frequent the Lake Macquarie area.Marlon McDonald is described as being of Aboriginal appearance, 170cm – 175c tall, medium build, with black hair and brown eyes.Police are exploring a number of lines of investigation including the possibility Marlon McDonald met with foul play in Forster, Newcastle or Kings Cross. Police are treating his disappearance as suspicious and believe there are people in the community who can assist with the investigation. Anyone who knows Marlon McDonalds whereabouts or has information that may assist investigators is urged to contact Crime Stoppers on 1800 333 000. NSW Police Force would like to thank the Outdoor Media Association (OMA) for their assistance with Missing Persons Week 2015, donating advertising sites worth more than $200,000 across NSW. Marlon Shawn McDonald was no saint, but his family said he did not deserve to die. After several stints in jail, Mr McDonald vanished six years ago and police believe he met with foul play. This week an inquest at Toronto Local Court, with NSW deputy state coroner Harriet Grahame presiding, has tried to piece together Mr McDonald's disappearance. Two self-confessed drug dealers have denied knowing the whereabouts of his body or what led to his suspected murder in Sydney or Newcastle. He was last seen in September 2012 and his family has spent years calling for a probe into when and how he disappeared. Police have scrutinised the activities at a known drug house at Windale, near Newcastle, to try to work out if Mr McDonald's life ended there. His girlfriend Joanne Donnelly has twice given evidence to the inquest and is expected to give evidence for a third time. Police have detailed Mr McDonald's last known movements, with a belief he was either killed in Windale, near Newcastle, Forster on the mid-north coast, or in Sydney's Kings Cross. The last confirmed sighting of Mr McDonald was at the Forster Police Station, which he attended as per his bail agreement. He was then thought to have travelled to Windale, south of Newcastle. Just months earlier, he and his girlfriend purchased a maroon Ford Falcon. That car has also vanished, believed to have been towed to a wreckers' yard. Mr McDonald's family has spent years lobbying for an inquest, after rumours swirled about what may have happened to him. "I want to find him, I want to bring his body home, I want to bring his remains home, so I can lay him to rest now," his mother Loretta McDonald said. His aunt Lynette Davis was also hoping for a breakthrough. "It has been too long now and the family is very upset about it all, and so we just urge anybody out there if they have got any information to either ring Crime Stoppers [on 1800 333 000], or let anybody know," she said. Ms Davis praised the police. "They are trying every avenue and they have done a really good job up in Taree and they have come down here now," she said. "Whatever has happened to him, we just need to find him and bring him home, just to put his body to rest and put our minds at rest." Several witnesses were called to give evidence. Mr McDonald's girlfriend Joanne Donnelly has fronted the inquiry several times, telling the deputy state coroner the self-confessed drug dealer Hugh Jamieson told her he knew where the body was. The inquest heard Ms Donnelly once asked Mr Jamieson about the whereabouts of the body on a call she made from jail, which she knew was being recorded. But Mr Jamieson used his time in the witness box to say he had never said he knew where the body was. "She just asked me what I know about what happened to Marlon and I said I wouldn't have a clue," he said. Ms Grahame asked if such a call out of the blue was unusual. "And you knew she was in custody, so you knew it was probably being recorded. Didn't you think that was a strange thing to do? Why would she call you out of the blue?" Ms Grahame said. At that point, the deputy state coroner asked if Mr Jamieson was in a sexual relationship with Ms Donnelly, before she asked him again if he knew where Mr McDonald was. "This investigation is ongoing, do you have any idea where his body is?" Ms Grahame asked. "I do not know, I do not know, I do not know. I do not know, " Mr Jamieson replied. Self-confessed Windale ice dealer Phil Chamberlain was a long-time flatmate of Mr Jamieson and was sharing a drug house with him at the time Mr McDonald vanished. Mr Chamberlain said his house was known as "Phil's Hut", but said he did not remember Mr McDonald visiting there. "I couldn't remember who it was even when it first happened. I had nothing to do with him," he said. Coronial advocate Sergeant Ben Hart, assisting the family and deputy state coroner, then peppered Mr Chamberlain with questions about what he knew about the alleged murder of the missing man. "Do you know what happened to Marlon?" Sergeant Hart asked. "Do you know if he was injured at your house?" "Do you know if he was killed at your house in 2012?" Mr Chamberlain was then asked why he was so sure when he worked as a handyman during the day. "I know that definitely, I just know," he said. The inquest heard Mr McDonald had a history of violence and domestic violence, including towards his girlfriend Ms Donnelly. In 1999, he was charged with serious violence offences over an incident in which he stabbed a man in the head and slashed Ms Donelly's brother, Dennis Donnelly, in the neck. Police say the incident created significant animosity between Mr McDonald and Ms Donnelly's family, and Mr McDonald was never welcome at either of Ms Donnelly's brothers' homes. In giving evidence, Mr Donnelly outlined what had happened. "I heard there were dramas, I heard he was into my sister," he said. "I had my little didge and I was going to rattle him with a didge, but he stabbed me with a blade before I had a chance to hit him with the didge," Mr Donnelly said. Mr Donelly was then asked if he held a grudge against Mr McDonald. "I ended up in hospital, but I didn't go along with all the dramas," Mr Donnelly said. "So even though he stabbed you in the throat, he was still welcome in your house?" he asked. "Yes, that didn't worry me." 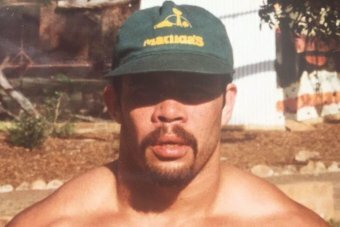 Sergeant Hart told the inquest Mr McDonald had a reputation as a standover man in and out of jail. "Marlon is described in the brief of evidence as a standover man who would perform drug rips off local drug dealers," he said. 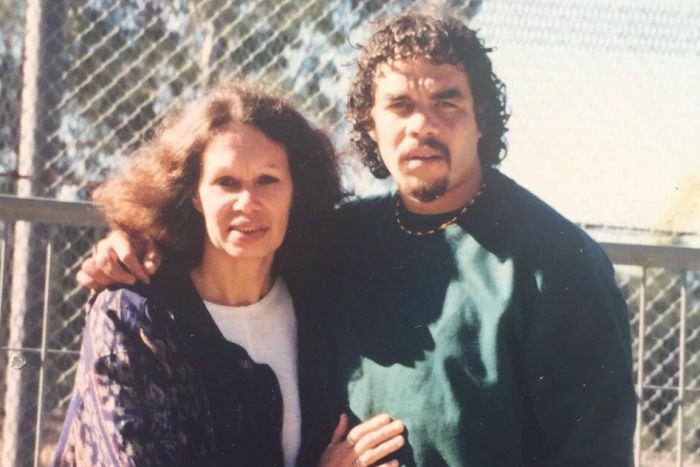 "He was known as a good fighter and whenever he was in prison he would run the pod and be the man to speak to if you wanted cigarettes or drugs." Mr Donnelly told the inquest he believed that behaviour could have contributed to his demise. "As far as I know he had dramas in jail and I heard he got stabbed around the head a few times," Mr Donnelly said. Sergeant Hart noted Mr McDonald had been stabbed in jail after a fight with a fellow inmate. "He spent the majority of 2010 in custody," he said. "Whilst in custody he got into a fight with an Asian inmate and knives were used and both men received some minor injuries as a result." The inquest has been adjourned until a date to be fixed.